Paraboot means authenticity, quality and charm for a true and natural product. 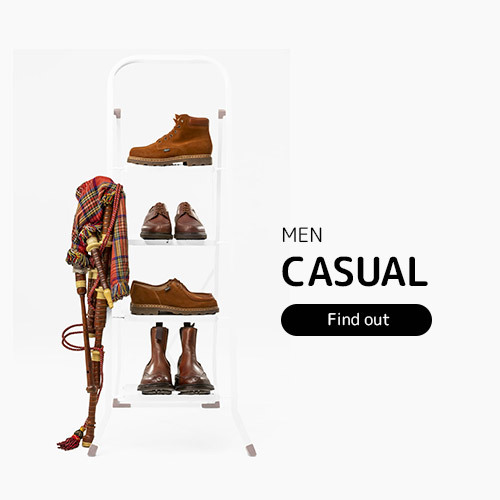 Present, nowadays, across all the continents, Paraboot has been manufacturing in France, for almost 100 years, shoes made to last and for walking as far as possible, using the strengths and skilled hands of men and women. 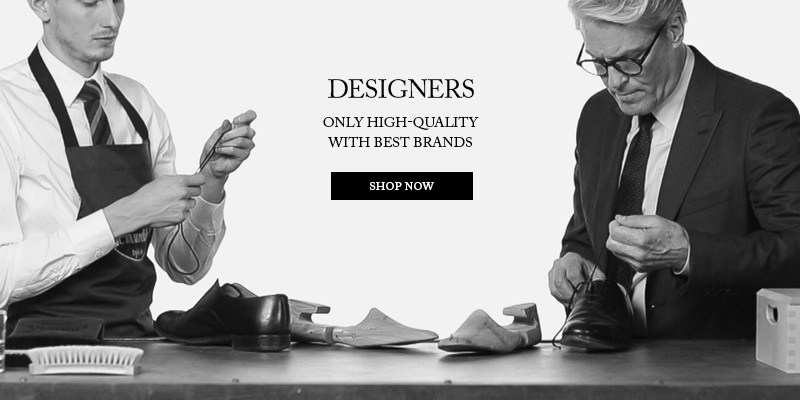 Paraboot motto is: "Authenticity, quality and charm for a true and natural product" . By simultaneously discovering boots and latex during a visit to the Americas, Remy Richard-Ponvert, the founder of Paraboot, came upon the idea of combining the two to make quality footwear.The result is a brand with ever-increasing worldwide prestige and distribution. Norwegian cordovan derby, leather midsole, rubber sole. Made in France For more informations about availability: info@borghiniclassic.com For the sizes ordered on request we do not accept the cancellation of the order and the return. 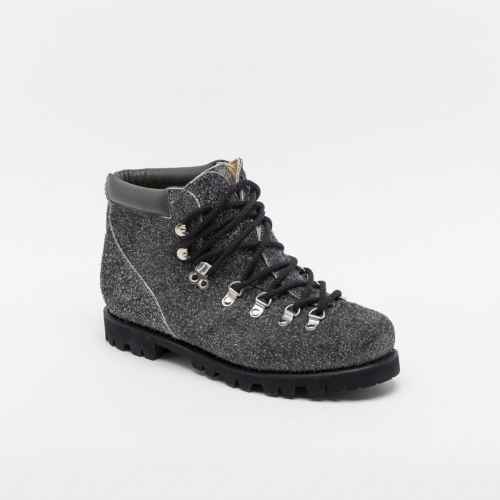 Galibier laced gray reversed leather ankle boot, leather midsole, black commando sole. 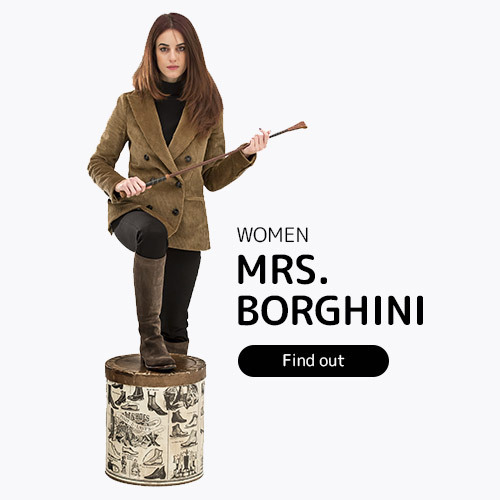 Made in France For more informations about availability: info@borghiniclassic.com For the sizes ordered on request we do not accept the cancellation of the order and the return. 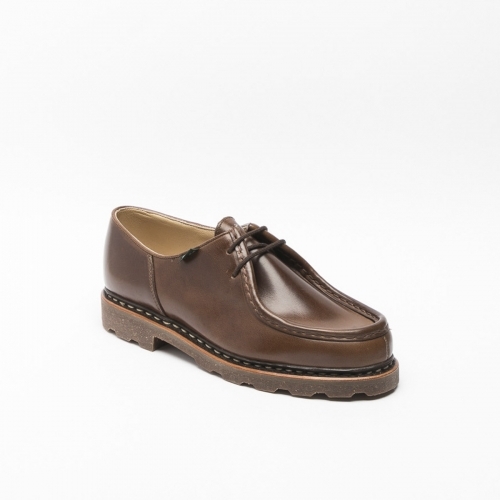 Lace-up shoe in oiled brown leather, leather midsole, brown commando sole. Made in France For the sizes ordered on request we do not accept the cancellation of the order and the return. 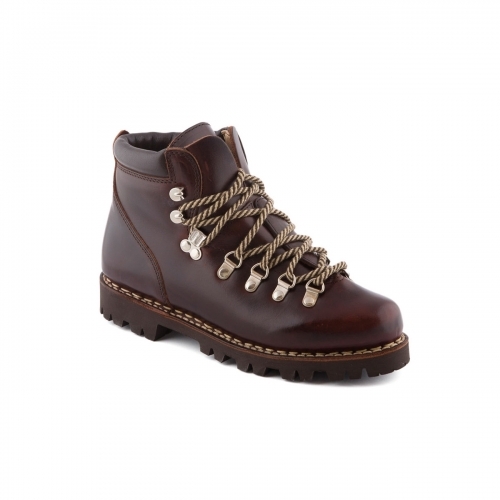 Lace-up shoe in back tex leather with norwegian seam, leather midsole, brown commando sole. Made in France For more informations about availability: info@borghiniclassic.com For the sizes ordered on request we do not accept the cancellation of the order and the return. 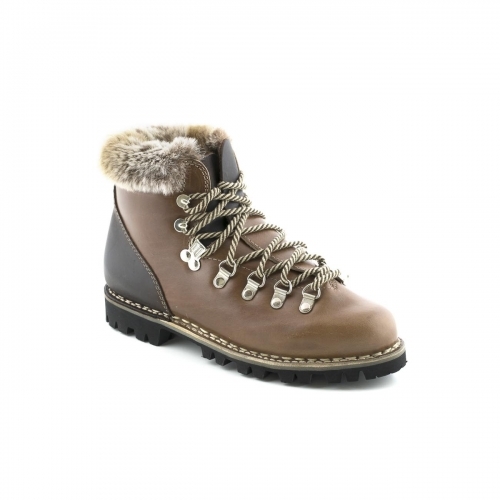 Woman lace-up galibier ankle boot in oiled brown ecorce leather, commando sole. Made in France For more informations about availability: info@borghiniclassic.com For the sizes ordered on request we do not accept the cancellation of the order and the return. Derby lace-up shoe in coffee smooth leather, norwegian stitching, leather midsole, rubber sole. Made in France For more informations about availability: info@borghiniclassic.com For the sizes ordered on request we do not accept the cancellation of the order and the return. 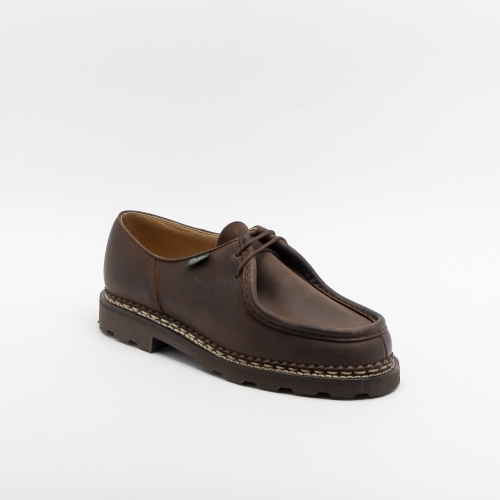 Derby lace-up shoe in coffee tex leather with norwegian seam, brown commando sole. Made in France For more informations about availability: info@borghiniclassic.com For the sizes ordered on request we do not accept the cancellation of the order and the return. Black oiled leather moccasin with norwegian stitching on the upper, rubber sole, leather midsole. Made in France For more informations about availability: info@borghiniclassic.com For the sizes ordered on request we do not accept the cancellation of the order and the return. Loafer in coffee oiled leather with norwegian stitched on the vamp and trim, leather midsole, rubber sole. Made in France For more informations about availability: info@borghiniclassic.com For the sizes ordered on request we do not accept the cancellation of the order and the return. 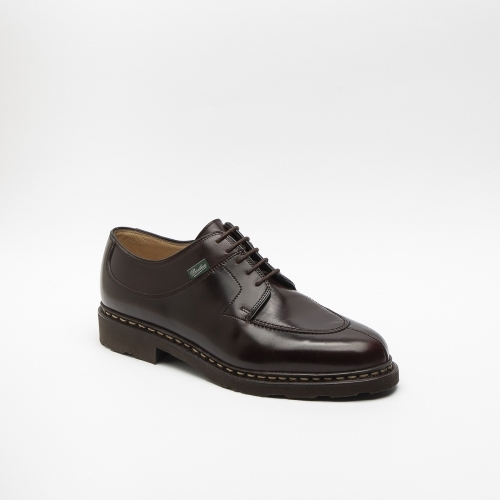 Shoe with double buckle in hammered burgundy leather, leather midsole, black commando sole. Made in France For more informations about availability: info@borghiniclassic.com For the sizes ordered on request we do not accept the cancellation of the order and the return. 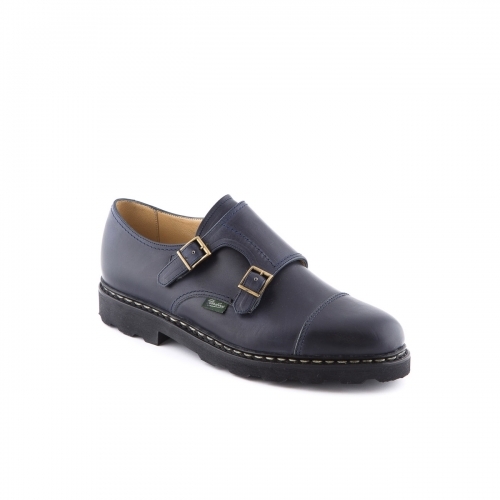 Shoe with double buckle in blue night leather, leather midsole, commando sole. Made in France For more informations about availability: info@borghiniclassic.com For the sizes ordered on request we do not accept the cancellation of the order and the return. 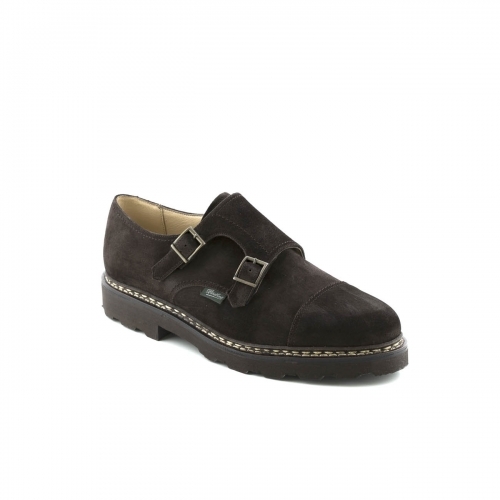 Shoe with double buckle in congo suede, leather midsole, brown commando sole. Made in France For more informations about availability: info@borghiniclassic.com For the sizes ordered on request we do not accept the cancellation of the order and the return. Galibier oiled black leather ankle boot laced, commando sole. Made in France For more informations about availability: info@borghiniclassic.com For the sizes ordered on request we do not accept the cancellation of the order and the return. Brown leather lace up ankle boot galibier lis naturel gringo, shank in dark brown oiled leather, rabbit fur ankle, leather midsole, black commando sole. Made in France For more informations about availability: info@borghiniclassic.com For the sizes ordered on request we do not accept the cancellation of the order and the return. Lace-up shoe in black oiled leather, black commando sole. Made in France. For more informations about availability: info@borghiniclassic.com For the sizes ordered on request we do not accept the cancellation of the order and the return. Shoe with double buckle in hammered ebony leather, leather midsole, commando sole. Made in France For more informations about availability: info@borghiniclassic.com For the sizes ordered on request we do not accept the cancellation of the order and the return. Coffee oiled leather derby shoe, norwegian welted, brown commando sole. Made in France For more informations about availability: info@borghiniclassic.com For the sizes ordered on request we do not accept the cancellation of the order and the return.